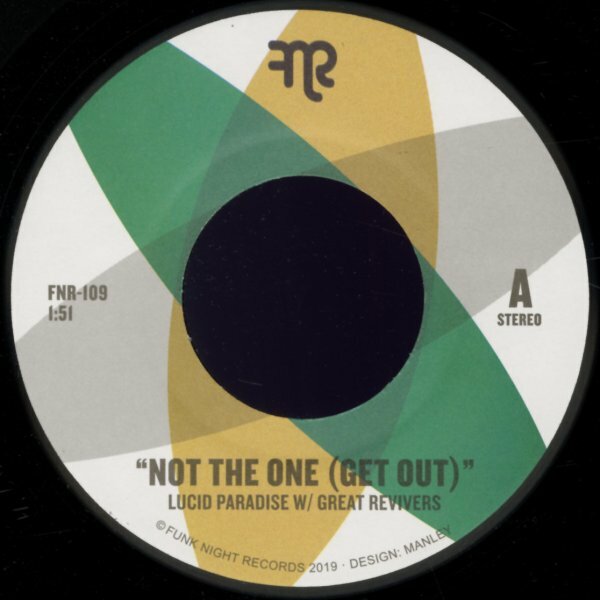 One of three great seven inch pairings of The Great Revivers and vocal group Lucid Paradise – with a strong female lead on "Not The One", which has the tune soaring to the skies over the funky drums at the core! Drums are equally tight on "B Boy Anthem", but the vocals are what really make it great – this kind of moody harmony exclamation – very different than you might expect, then leading into a killer drum break with lots of organ and guitar! © 1996-2019, Dusty Groove, Inc.